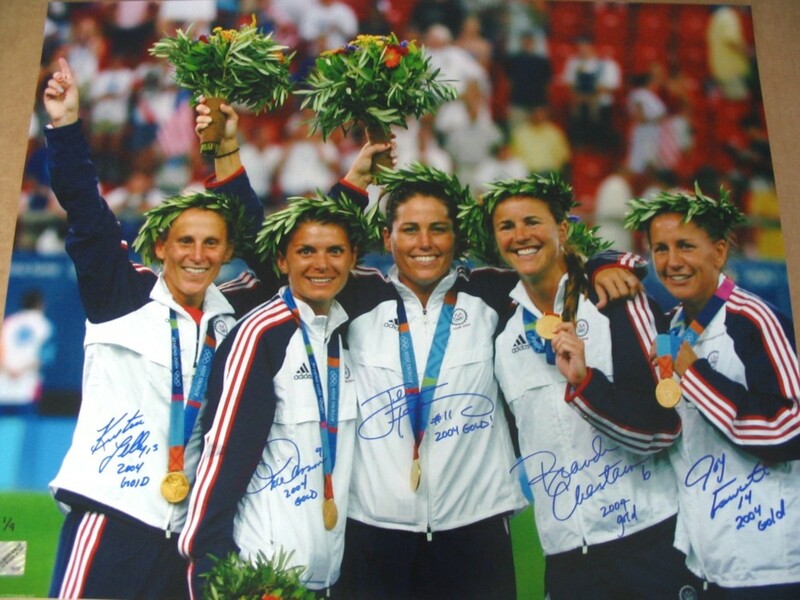 Poster size 16x20 inch photo of the five original 91ers, (the quintet of American soccer girls from the 1991 U.S. Women's World Cup Team: Brandi Chastain, Joy Fawcett, Julie Foudy, Mia Hamm & Kristine Lilly) posing with their gold medals won at the 2004 Olympics in Athens, personally autographed and inscribed 2004 GOLD in blue marker by all five players. 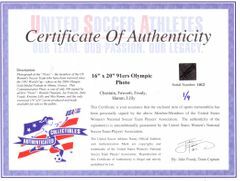 Hand-numbered limited edition of ONLY 9 PHOTOS (you will receive a randomly selected non-premium limited edition number.) 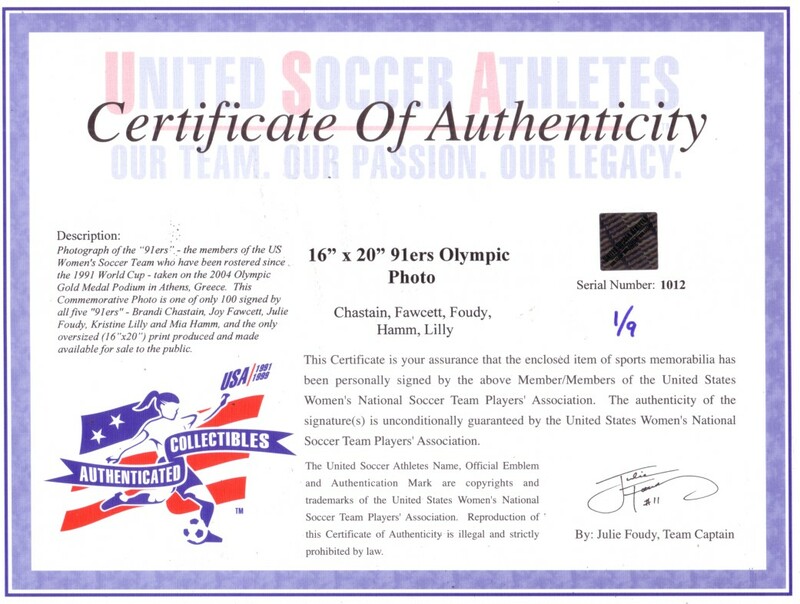 Authenticated by the U.S. Women's National Team Players Association, with their holograms on the photo and certificate of authenticity. This product is EXCLUSIVE to AutographsForSale.com; you will not be able to purchase this anywhere else! ONLY A FEW LEFT. LIMIT ONE PER CUSTOMER.